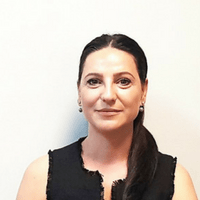 Dorina is the Quality Assurance Manager of Black & McDonald Limited Power Generation Region, an integrated, multi-trade prime contractor serving different nuclear utilities in Canada. Dorina has 16 years of experience in the nuclear sector working with multiple support teams in a variety of projects. In her role as a Quality Assurance Manager , Dorina is responsible for developing and implementing the Quality Management System within Power Generation Region for nuclear clients, and managing the day to day activities of the Quality Assurance Department .